Following the success of the Arena of Sompek training initiative, the Alliance has set up further exercises to prepare its captains for the oncoming challenges that await them. These new competitive PVE War Game scenarios will pit teams of ten players into two teams of five, in trials of speed, strength and ingenuity. They must race to complete objectives before the other team succeeds. “Binary Circuit” is a ground-based 5v5 Gauntlet-class War Game Scenario. 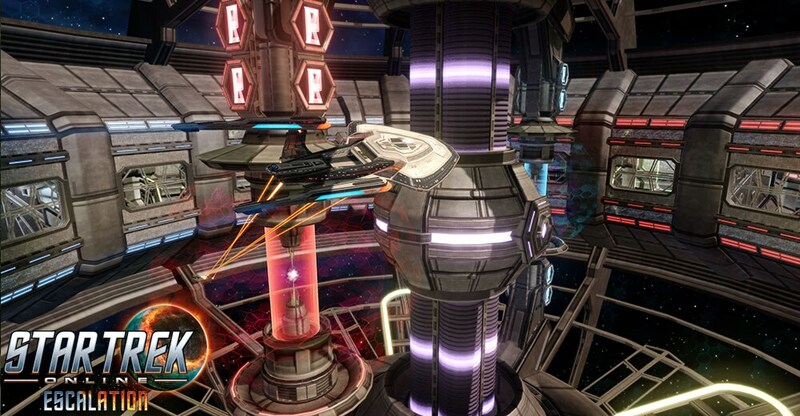 In a Gauntlet-class Scenario, Captains will not be engaging in battle directly with the opposite team, but racing against them to solve puzzles and defeat enemies. 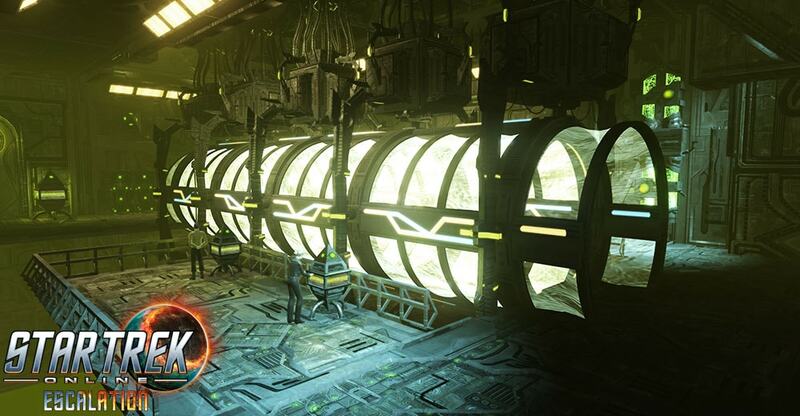 In “Binary Circuit,” two squads of captains will battle and puzzle their way through a converted Borg Cooperative Cube. Various Alliance enemies will be holo-represented within the scenario to provide challenges. The first team to reach the end of the training course wins! The Alliance is concerned with puzzle solving and team building in this scenario, so Captains will not be finding themselves in a direct battle with the opposite team, although you can still trip them up from a distance. These queues are designed for level 50-60 players of all factions, with normal, advanced, and elite versions. All three queues will also reward marks, dilithium, and R&D materials. Check out the War Games Queues when they go live with Season 13.